Notice the @objcMembers attribute declaration in the class. The attribute allows Backendless SDK (which is written in Objective-C) to access object’s property values. If you do not add the attribute, objects retrieved from the server will not have properties initialized with the values. It is also possible to set a project-wide configuration property. When you do that, you do not need to add @objcMembers attribute, however, you will see warnings when the project is built. To set the project property, open “Build Settings” for the project target, locate “Swift 3 @objc inference” and set it to “On”. For additional information on the @objcMembers attribute, see the “inheriting from Objective-C Classes” section in the Swift 4 programming guide. Backendless detects that the query at the top level uses the in() operator. It checks if the contents of the in() operator have the format of a subquery and if so, evaluates it accordingly. The internal whereClause is applied to the objects in the Comment table. 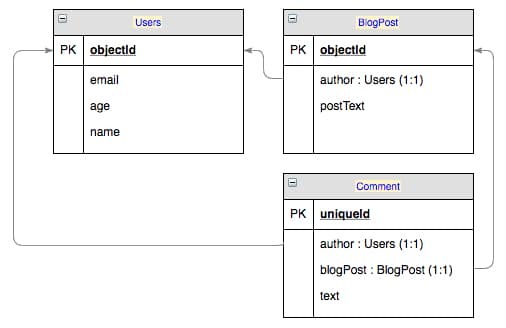 For all found Comment objects, Backendless gets a list of values for the blogPost.objectId column. The resulting set is fed into the in() operator which fetches the final set of objects from the BlogPost table. If internalWhereClause is present, it is executed in the table identified by TableName. In the resulting set of records, values must be selected for the column identified by columnOrRelatedColumnName.optionalColumnName. Please let us know if you can think of additional examples you would like us to demonstrate.